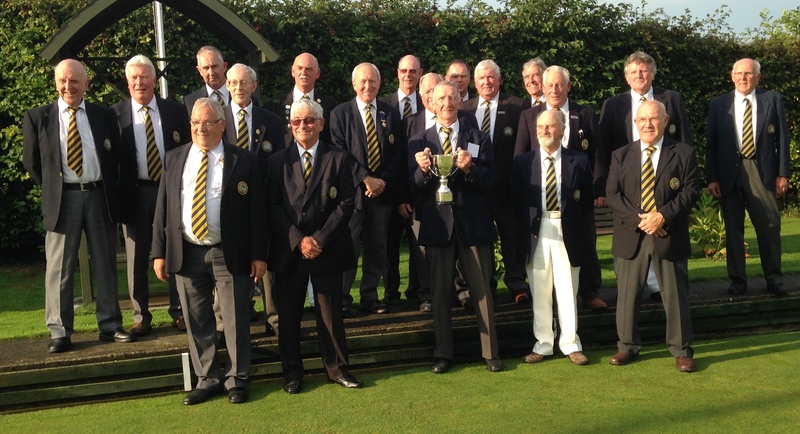 We win the Weston & District Over 60's Cup for the third successive year and NO we cannot keep it!! We beat Isle of Wedmore in the Final at 'The Vic'. Congratulations Lew on leading your team to yet another Victory!! Congratulations to St. Andrews who managed to get their 4pts required to win the league, despite losing to Ashcombe Crusaders, with a game in hand. Winscombe have become runners-up as Clarence Blues just failed by one point in their last game. Clevedon and Portishead are confirmed as being relegated, commiserations to both clubs. Clevedon will leave the league. 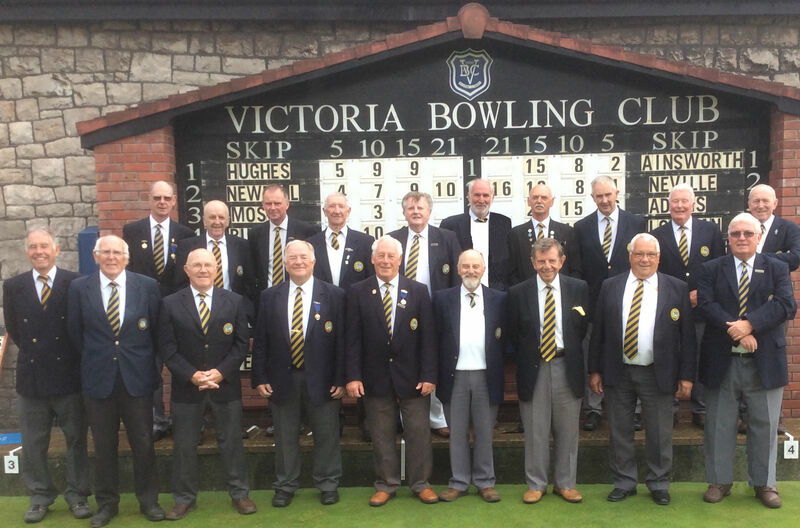 Burnham and Clevedon Prom return to Division One. This match between Isle of Wedmore and Winscombe was played yesterday and ended up with a victory for winscombe by 101 - 77. Despite the margin of victory, this was a hard fought game across 5 of the 6 rinks. The rink doing the damage, if that is the word, for Winscombe won by a margin of 20 shots. Well played by both Clubs in somewhat cloudy and at times damp conditions. Congratulations to Winscombe on winning the Cup for the third consecutive year. 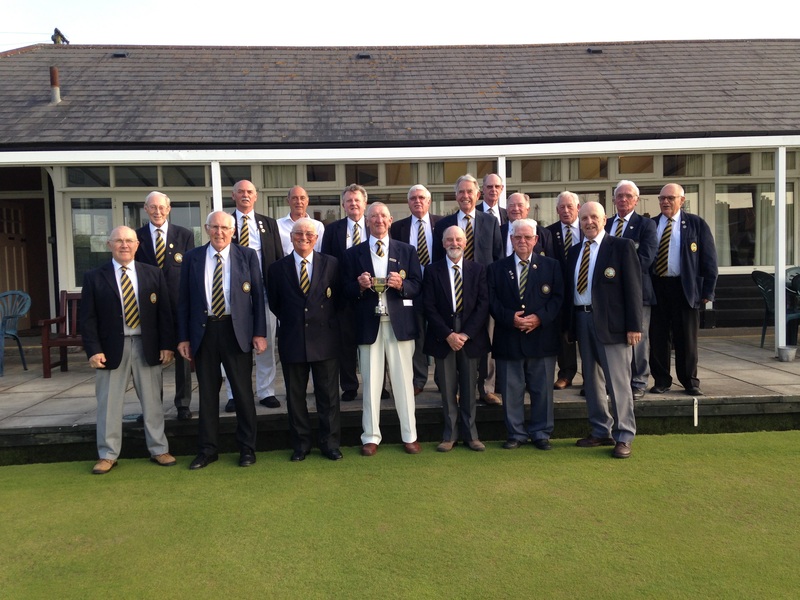 Winscombe sealed the Championship with a 20 points win at Burnham on Sea . They finished off the season with another win at Clarence blues to total 241 points for the season. Victoria Saxons deducted 6 points for playing an ineligible player as Skip. 2015 - We win the league for 2nd successive year!! 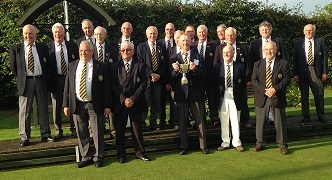 FINAL AT CLEVEDON PROMENADE on 14th SEPTEMBER 2015 at 2.30 p.m. In the event of a tie, then Rink 3 will play the extra end. The Knock Out Cup Final will be at Clevedon on Thursday, 11th September between Ashcombe Crusaders and Portishead RBL. FINAL AT CLEVEDON on 11TH SEPTEMBER 2014 at 2.30 p.m.
**** Portishead awarded 20 pts.